Sling Media, maker of the Slingbox for place-shifting TV content to laptops, smartphones and PDAs, got $46.6m second round funding from Goldman Sachs, Liberty Media, EchoStar, Hearst and others. That is a lot of money, and notably from a traditional media firm. It will probably mean: more products, more marketing, and possibly new deals. CommsDesign reports Viviane Reding's speech to the FTTH Council in Vienna contained a hint at EC support for FTTH. Thus the EC would abandon its technology neutrality stance. The advantages would be straightforward: support broadband, the Internet and the economy, just the way LLU did on the wings of European support during 2005. The report cites cities (as most recently Vienna) to be the best place to be, as a consequence of munifiber. Reding did not say how this bias could be ended. But on the other hand, resistance from member countries trying to protect the PTT would not be tolerated. Will MSN have an edge over Yahoo! and Google? Last week, Clickz revealed a research paper by Ostrovsky et al from October 2005, showing that advertisers overpay, using Google's auction method for AdWords (see this PDF for AdSense). Ostrovsky et al claim that Google wrongly states that it uses the Vickrey-Clarke-Groves mechanism (VCG). Instead, Google uses a generalized second price auction (GSP). Interestingly, Ostrovsky et al point to "new entrants such as Ask Jeeves and Microsoft Network [who] have a comparative advantage over the established players in implementing VCG" (page 7). If MSN indeed goes with true VCG, it could have an edge over Google. But that still leaves Google's high click-through rates to be beaten. Earlier this week Dave.tv launched a new product (Content Publishing Network), that makes it a direct competitor to Brightcove (read this interview). Dave.tv launched its original software at the CES earlier this month (they also have a box: the Xport STB). What it roughly does is consolidate entertainment (video) from all sources (stored on a PC, or from cable, DSB, IPTV) and deliver it streaming to any device. In this respect, it is comparable to Orb Networks (software), Sling Media (box or software) and even Akimbo Systems (box). The question for long term survival is: what is the smartest business mix? Software or a box? I suppose few people want an extra box, and software can built into existing boxes. Wholesale (supporting publishers, like Brightcove does) or retail (offer services directly to consumers? I suppose the latter will be scouped up sooner or later. My money would be on either a software product, or a wholesale service. And hope to be taken out by a big guy one day. The International Film Festival in Rotterdam just started. Come and meet me at the seminars on February 4. They are here for Verizon and here for AT&T, in Dutch. The weekly news round-ups are here for Telecoms, Internet and Media. not necessarily be cheaper than a common standard such as DVB-H. Using spectrum at around 2GHz would require a much larger number of base stations than using terrestrial TV/radio spectrum or the L-band, which would probably nullify any network cost savings. adoption. It is this last point that is the killer in the short term! Jim Bennette moves from Orb Networks to Akimbo Systems. What does that mean? WiFi could be squashed between UWB (for home-networking) and WiMAX (for MAN), but it could also very well win on both sides. UWB suffered a set-back and Milwaukee muniwifi could show the way in competing with WiMAX, as it seems to include a dense fiber backbone. WiFi had a boost from the 802.11n task group at the IEEE. It approved a draft proposal for the new standard. Broadcom immediately introduced its Intensi-Fi chip. UWB was less fortunate, though. The 802.15.3a standard was killed at the IEEE meeting in Hawaii. Two competing groups, the UWB Forum and the WiMedia Alliance, could not come to an agreement. It is not necessarily a set-back for the UWB-market, however. Companies involved will continue product development. WiMAX saw its first batch of hardware certified (under the non-mobile 802.16-2004 standard) by the WiMAX Forum. HT in Croatia, a Deutsche Telekom company, was quick in launching build-out of a national network. There was a major product launch from IPWireless, TDtv. It promises TV-o-W for UMTS operators in existing spectrum. No need for DVB-H, DAB, MediaFLO or any other new piece of infrastructure. Tesco was a remarkable entrant into the VoIP space. Broadcastbuyer.tv had a long article on IPTV and VoD. This story on Linuxelectroncs is not meant for me - I'm not a software engineer. Maybe we will hear more from ClearNova and it's ThinkCAP. We've seen a lot of fiber lately: Amsterdam and Nuenen in the Netherlands; Paris and perhaps all of France, with or without France Telecom; Deutsche Telekom, possibly joined by United Internet and Freenet.de; TDC building a mix of copper, coax and fiber; Portland and Lafayette in the US (and many other cities); the FiOS build-out by Verizon. Some are municipal, some commercial. Some are FTTH/FTP/FTTC, others are FTTN + VDSL. The town of Hillegom in the Netherlands adds an interesting perspective. A private firm, Lijbrandt Telecom, is planning FTTH, branded 'Kadaka' ('kastje dat alles kan', box that does it all). Build-out starts any day. A good deal on voice (free off-peak on national calls), 20/2 Mbps and a large bouquet of TV channels: just 45 EUR/mo (compare Nuenen: 60), plus all sorts of services (port your existing phone number, etc.). Writes Dirk van der Woude (thanks again): "The catches: full vertical integration; up to euro 400 connection costs, when not subscribing at deployment time (which could mean keeping on paying, up to 11 months, for existing telco and/or MSO subs)." IPWireless launches TDtv: TV over wireless using existing 3G spectrum. Operators owning 5 MHz in the 1900 MHz or 2010 MHz band will be able to offer up to 50 channels (+ audio and data). Tailor-made for UMTS operators. No need for new spectrum or separate infrastructure (like DVB-H, DAB, DMB, Media-FLO, ISDB-T). The solution combines IPWireless' UMTS TD-CDMA and Multimedia Broadcast and Multicast Standard (MBMS). "TDtv leverages MBMS to allow an infinite number of customers to watch the same channel or use the same network bandwidth." 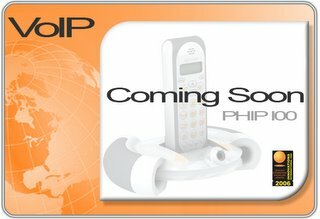 IPWireless expects to announce operator and handset partners shortly. "NOTE: IPWireless will demonstrate TDtv in its booth #AV40 at the 3GSM World Congress in Barcelona, February 13-16, 2006." VNU: is 28.50 the end or a beginning? Private equity firms are trying to buy VNU for 28.00-28.50 EUR/share. Will that be enough? VNU closed Friday at 28.25 and had a peak of 29.41 intraday on December 14. Now of course valuation is a tricky thing. First, look at the premium. At current levels there is really no premium. Compared to recent history though, there is. Taking the average share price since August 1 (VNU made an offer for IMS on July 11, resistance from large shareholders arose in August and VNU dropped its bid November 17), the premium is around 7.5%. If you look at the three months preceding December 14 (when VNU acknowledged to be talking to investors), the premium is c. 7%. If you want a 15% premium over those three months, you are asking for 30.50 a share. Second, comparing multiples is no short way to rocket science either. Ten B2B stocks have an average EV/EBITDA multiple of 11.1 (thanks to Reuters and Moody's), VNU has c. 11.4 at the proposed bid level. There is no apples to apples in this business, so there is really no premium if you look at it this way. Third, let's check out some price targets. There is a bear at 26 (Exane) and a bull at 31.50 (Rabo). In my model, using consensus forecasts, I arrive at 29. But I am probably most bullish and look at a 32 target. A 30.50 bid sounds pretty good to me. It would probably have investors cheering. If the bidding consortium allow VNU's current management to moan and groan over the proposed bid and raise its offer to 30.50, it makes VNU look good, having extracted an extra few euros for its shareholders. Two good stories on demand shaping markets. A history of Korean broadband (penetration 75%) on Ohmynews, the result of good ol' "build-it-and-they-shall-come". Thanks for this one to the ever well-informed Dirk van der Woude of Citynet in Amsterdam. Blueprint on Arcchart predict user demand for 3G (not so fast but seamless coverage over a large area) will outstrip demand for WiFi (faster but patchy). Wholesale hotspot providers stand a better chance, as they are complementary to 3G. Two worthwile reads on high-profile vendors. Newsweek ran a good article on Huawei. Undercutting competitors by 70% makes you think. BusinessWeek quotes Clayton 'The Innovator's Dilemma' Christensen on Apple. Twisting the argument the positive way, you could say the company must choose: either continue the proprietary way and keep launching great new products, or try to turn the proprietary product (ie iPod) into a standard. An interesting and long Wired-article from Charles Mann on the undecided battle between Google and click fraud outfits. Google must hope that advertisers will accept the phenomenon as part of doing business on the net. Once again, I recommend Cringely. Google could help networks insert extremely targeted ads, based on search behavior. The New York Times reported on The Orchard. Purchase music from indie and foreign labels and distribute it digitally. Hope to sell hundreds of copies of thousands of albums (instead of trying to sell millions of copies of hundreds of albums). A digital aggregator between these labels and digital music services. A very long interview on the ITVT blog with Brightcove's Jeremy Allaire. I have been blogging on this company for quite some time, but it hasn't fully launched yet. They do have deals though, with AOL and Reuters. This is a service for publishers: distributing video/TV to IP devices that support Flash. Brightcove helps publishers distribute (editorial tools, facilities) and monetize (insert ads; charge users; syndicate to affiliates) their content. The Seattle Post-Intelligencer had an article on a competitor: thePlatform. Take a look at this ABC article. Centers around Linksys, XACT, Auvi and Motorola. The Auvi Technologies' PHIP100 DECT seems especially cool, as it has a buil-in webcam and it can handle PSTN and VoIP calls simultaneously for conferencing. Finally, convergence of competing standards alliances. This could lead to a revised draft in time for the IEEE meeting in Hawaii next week. The new 802.11n standard (with MIMO) quadruples speeds and could hit the market after 12-18 months. It may turn WiFi into a viable home-networking technology, next to UWB, as well as wired standards based on existing telco, cable or power wires. There is much debate about the artificial release windows for movies. It could be better to collapse them into one. That would save a lot on marketing and it would appease movie lovers (and hence reduce illegal downloading and sharing). MediaPost's TV Watch reports Fox is considering simultaneous release of movies on VoD and DVD. Seems like a step in the inevitable right direction (even if it doesn't go quite as far as Mark Cuban does). More coming from Google and Vodafone? Google launches Google Talk for Blackberry in the spring - IM (as well as Gmail) on the go. Navigation will also be really easy, after downloading Google Local for mobile. So far, it's text only, and there is no interoperability with AIM yet. But I suppose a Skype/E-Plus sort of deal will follow. Telecompaper.nl reports, pointing to Radiocor, that FastWeb is talking to Vodafone (and 'other mobile operators') about launching converged services, in response to TI/TIM. Vodafone works with BT in BT Fusion - will there be more alliances? In most countries (apart from Britain) Vodafone would be relegated to working with altnets, like FastWeb. That leaves plenty of room for speculation. Network operators: it's our network, we do as we please. We have to defend our own services. Internet service providers: it's not us, it's the customer who is using the service. Moreover, he/she already pays for it (ie the broadband bill). I am somewhere in the middle. Only if true competition would guarantee the option of subscribing to an ISP that respects net neutrality, would I support the network operators' point of view. Opponents (normally cablecos and telcos): cities have no expertise and should leave the market to commercial enterprises. Proponents (usually cities themselves, but Minneapolis is an exception): competition is insufficient, especially in rural areas. Broadband is a civil right, like roads and water pipes. Besides, munibroadband will spur economic growth and will socially benefit the population. Also, government institutions can use the network. Again, I am somewhere in the middle. As a matter of principle I would like to leave it to commercial enterprises, but the pragmatic point of those in favor of munifiber is simply too strong. The matter is somewhat complicated by the 'stupid network' view: operators should acknowledge this inescapable view, cheer cities' initiatives to pay for the upgrade and restrict themselves to the role of service providers. But that would take a major turn. * AOL buys Truveo (video search). * Google intrs Videos Marketplace (content from CSB, others for buy or rent) and has deal with DivX (video codec) to put Google Video on devices. Two interviews with Microsoft TV execs: on Xchange Magazine with Ed Graczyk (marketing & communications) and on CommsDesign with Peter Barrett. Are they ready to scale? Why is their DRM better? Is their one-stop shop good for operators? Is it designed just for TV? How about in-home wiring? DailyWireless.org explained the upcoming spectrum auctions in the US. Currently used by government agencies, the first half of 90 MHz is to be auctioned in the summer. It could be used for 3G, but for WiMAX (let's say 4G) as well. Wi-Fi Planet wrote about the new 802.11v standard, dealing with load balancing. It will clear the way for (better) wVoIP. Unfortunately, approval isn't expected until 2008. Wired carried a lengthy article from Charles Mann. The LA Times had "Media: the Year Ahead". Fun over possible (?) M&A: Microsoft + Yahoo!, Disney + Pixar, Yahoo! + Lionsgate, Comcast + MGM (! ), Viacom + DreamWorks Animation, AT&T + EchoStar. Finance Fiction. Kevin Maney on USA Today wrote about the end of the blockbuster. Hollywood should make more low-budget movies and very few big-budget, mass-market movies. Campus-Technology had a short overview. Finally, I copy/paste David Pogue's article in the New York Times, before it vanishes behind a for-pay option. under the radar of marketing departments. THE FOLDING MEMORY CARD After taking a few digital photos, the next step, for most people, is getting them onto the computer. That usually involves a U.S.B. cable, which is one more thing to carry and avoid misplacing. SanDisk's better idea is to take the memory card out of the camera and stick it directly into your computer's U.S.B. port. That's possible with the SanDisk Ultra II SD Plus card. It looks just like any other SD memory card, except that it folds on tiny hinges. When you fold it back on itself, you reveal a set of metal contacts that slide directly into the U.S.B. jack of your Mac or PC. The computer sees the card as an external drive, and you can download the photos as you always do - except that you've eliminated the need to carry around a cable. THE VOICE MAIL VCR Voice mail is a delightful invention. But trying to remember which keys to press - for replay, skip, delete and so on - is not so delightful, especially if you have more than one voice mail system to learn. Thanks to Palm, then, for adding VCR-style buttons on the touch screen of its coming Treo 700W cellphone. You just tap Skip, Play, Delete, or whatever. The phone remembers which touch tones to play so you don't have to. THE FRONT-SIDE TV CONNECTOR The home-theater explosion is all well and good, but one less exciting aspect never appears in the photos: the rat's nest of cables. Depending on how permanently your TV has been built into your cabinetry, getting behind it to plug or unplug something is either a royal pain or a full-blown construction project. Hewlett-Packard's latest microdisplay (rear projection) TV sets solve the problem sweetly and simply: everything plugs into the front. A broad tunnel lets you hand each cable to yourself from the back, an illuminated connection panel makes it easy to see what you're doing at the front, and an attractive door hides the whole ingenious system. THE BIGGER-THAN-TV MOVIE Most digital still cameras today can also capture video big enough to fill a standard TV screen (640 by 480 pixels) and smooth enough to simulate standard TV motion (30 frames a second). But Canon's PowerShot S80 model goes one step further: it can capture videos at even higher resolution (1024 x 768 pixels). Why on earth would you need a video picture of higher resolution than the TV itself? Three reasons. First, your videos will look better on high-definition sets. Second, the videos fill much more of your computer screen when played there. And finally, that's so much resolution, you can isolate a single frame and grab it as a still photograph. reasonably priced, lightly copy-protected TV episodes is finally upon us. calling. Problem was, this arrangement deprived you of the option to dismiss the call or send it to voice mail. If you opened the flip phone to get to the Ignore button, you'd answer the call - unless you'd turned off the "opening phone answers the call" feature, in which case you lost one great convenience of having a flip phone to begin with.The solution? Add buttons on the outside of the phone. When a call comes in to the LG VX8100, for example, its external screen identifies the caller - and the small buttons just below it are labeled Ignore (let it ring until voice mail picks up) or Dismiss (send it directly and immediately to voice mail). You get the best of all cellular worlds, without ever having to open the phone. THE FREE DOMAIN NAME A domain name is what comes before the ".com" in a Web address - like NYTimes.com, verizonwireless.com or MarryMeBritney.com. Getting your own personal dot-com name has its privileges - for example, your e-mail address can be You@YourNameHere.com - but it costs money and requires some expertise.It took Microsoft, of all companies, to make getting your own dot-com name free. Its new Office Live online software suite for small businesses, now in testing, will offer a domain name, Web site and e-mail accounts free. Yes, you'll see ads on the screen (unless you pay for the adless version) - but plenty of people won't mind viewing them in exchange for a free, professional-looking Web presence. investment isn't sitting wasted every time you leave the minivan. fraction of a second apart. You've just tripled your odds of getting one decent shot. THE HYBRID HIGH-DEFINITION TAPE JVC and Sony developed the first camcorders capable of recording in spectacular wide-screen high definition. This would have been a perfect opportunity for them to introduce yet another type of videocassette - some expensive, proprietary new format that wouldn't fit any other camcorder (and would generate millions in sales).But they didn't. Instead, these HDTV camcorders record on everyday $4 drugstore MiniDV tapes, the same kind used in regular camcorders. In fact, you can mix and match high-def and standard video on the same tape. It took a lot of engineering to cram so much more video data onto the same amount of tape, but for home-movie buffs, it was a surprising, generous, kind-hearted move. After Nuenen, now Amsterdam makes progress toward munifiber. Things are moving the wrong way in Lafayette however, where BellSouth won a court battle. A small selection (taking the CES in Las Vegas into account). The RCA-Akimbo Player from Thomson and Akimbo Sytems. UPDATE: Akimbo has a deal with MovieLink (ie Hollywood) for movie distribution. Thomson also the handheld Lyra X3000 DVR. Sling Media presents a software version of its Slingbox. UPDATE: Sling also launches the PAL (ie European) version of the Slingbox and plans entering Canada. Proxure launched MyTV ToGo 3.0 for uploads to mobile devices. KPN offers the Archos AV400 portable DVD/music player/recorder at a discount (EUR 300). Dave.tv launches its software product: consolidate video from all sources and deliver to any device. Also, DAVE.TV works with Capitol Infrastructure to provide new home owners in the southeast of the US with IPTV. Interesting stuff for service providers. AT&T supplier 2Wire launches an outdoor home gateway, the HomePortal 4000 series iNID, to shrink the truck roll bill. Extension into the home through coax, ethernet or 802.11g. NDS introduces the Home AV Center II (a server with 5 tuners, a 300 GB hard drive, HD and VoIP, so you can have DVR capabilities and all your movies, music and photos in up to 3 rooms) and Xspace software (to deliver internet content to the tv, apparently through a deal with Akimbo; with search capabilities, EPG and DRM). Hardware and software companies, vendors, studios: some have taken sides, others bet on both Blu-ray and HD-DVD to be the new high-storage standard. Here is an overview. This week's developements center around two things: movie releases and players. Movies: Paramount will release 10 on HD DVD and 10 on Blu-ray. Warner too will release on both. Lionsgate plans 10 on Blu-ray. Sony and 20th Century Fox each plan 20 on Blu-ray. MGM also will release on Blu-ray. Interestingly, Sony will use MPEG-2 for compression. "The new codecs are interesting but unproven". UPDATE: "Satellite providers continue MPEG-4 transitions." Players: Toshiba will launch the first HD DVD in the US in March of this year. Pricing starts at $500. Philips will launch a Blu-ray player in the second half. Hop-on announces the Chitter Chatter: a kids handset with GPS. You locate your kids via SMS or the internet. KPN introduces SMS to Fixed services, using SpeechFrame from Comsys for text-to-speech conversion (in case the phone doesn't have a display for text messages). The result is "fluent, naturally sounding spoken text". KT Corp supplies Daewoo with BoS connectivity for a Nigerian plant, using Hughes Network Systems. The Nuenen FTTH project had a stunning 80% uptake from trial households. Still, I would not quite agree with James Enck ("So much for consumer inertia"). The small miracle was that so many people participated (it was a free trial, which explains much for those who understand the Dutch psyche). Extending the service and accepting payments (some 60 EUR/mo) is really a sign of inertia. Which brings me to user habits. There is little point in trying to change them, even though some innovations have very quick market acceptance (internet, broadband, mobile, etc). Convenience, easy of use and the ability to save time are all-important. Give the people what they want: on-demand. In movies and video: you better collapse the traditional window. Save on marketing, let people figure out what they prefer (theater or DVD) and raise your prices. That will be good for VoD revenues at cable companies and studios will get a larger slice, as this WSJ article argues. In movies: the end of the blockbuster as studios (must) focus more on niche movies, as Kevin Maney argues on USA Today. Before him, Patrick Goldstein made the same point, and how this affects movie theaters, in the LA Times. This ties into the a la carte programming discussion that Kevin Martin unleashed. Finally, MarketWatch ran a story on disaggregation: you don't want to pay for news that you're not interested in in the newspaper; or boring tracks on a CD; or unbearable channels in your cable bundle; or even bad programming on a broadcast network. Robert Cringely's much-quoted "I,Cringely" of November 17 (speculation on the 'Google Box') and November 24 (on the 'Google Cube') and the LA Times' "Media: The Year Ahead" of January 1 (predictions of a number of possible mergers) show how rumours sometimes develop. Cringely was elaborated by Bear Stearns on December 19 (!). They even hosted a conference call with him. I myself linked to his columns on November 25 and November 30. Then, in January the story all of a sudden became hot. Google, by the way, denied any plans in this direction. The LA Times article led to some heat around Yahoo! last Tuesday. Verizon and Comcast, locked in a bloody battle sending their share prices toward 52-week lows, may be pressured enough to take measures to bring forward their inflection points. Lehman Brothers suggest that Verizon may scale back its FTTP plan toward FTTN. That would explain yesterday's 3% gain. Still, the stock is solidly in a downtrend since late 2004. Interestingly, Verizon's FTTP plans date from November 2003 (if I'm not mistaken). In other words, it took the market about a year to decide that FTTP is too expensive for its quarterly focus (and another year for Moody's, which downgraded Verizon last December on the same grounds). At the same time, the cable guys (Comcast, Time Warner Cable, Cox and Advance/Newhouse) and Sprint Nextel announce that their quadruple-play joint-venture will start operations mid 2006. VoIP: software (with Kodak) and hardware added by Skype (from Panasonic, D-Link and others), hardware added by Vonage (from Panasonic, D-Link and Uniden) and new hardware from Motorola. VoIP-over-munibroadband/BPL: Current Communications will release VoIP for its (muni) BPL service with Cinergy in Cincinnati, this quarter. Munifiber: out of 7500 free trial households for munifiber in the town of Nuenen (Netherlands), 80% elected to keep the triple-play service, now that it is no longer free.